Ladies of Jazz with Eva Scolaro - One Night Only! Born in the Perth Hills, Eva Scolaro is returning to Perth for one night only! 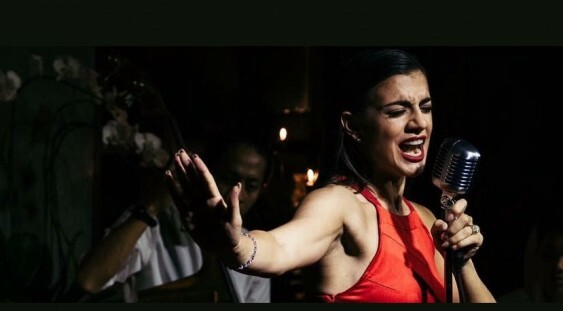 Performing from her personal favourite songbook from the most esteemed ladies of jazz, you can expect to hear music by Billie Holiday, Ella Fitzgerald, Peggy Lee and a few modern artists such as Joss Stone and Amy Winehouse. For this special event, Eva has reunited with elite Perth musicians Chris Foster on Grand Piano, Nick Abbey on Double Bass, and Daniel Susnjar on Drums. Eva is of the firm belief “Your jazz singing voice should be a natural extension of your speaking voice.” For this reason, Eva and the band will bring an energy that is undeniable, from goosebumps to tapping your toes. In 2016, Eva teamed up with producer Steen T of Café Del Mare to release the house track “Don’t Tell Me No”, reaching #6 on the iTunes dance charts and amassing over 2 million YouTube views. The track is a compilation of rhythmic house and Eva’s jazz lyrical melody, and can be found on Spotify and Apple Music. Singing since she was tiny tot at Johnny Young Talent school, over the past 6 years Eva has established herself in Indonesia as a significant international vocal artist. Most importantly, she leads the way by creating opportunity for up and coming local and international artists in her position as CEO of the largest talent agency in Bali, evascolaro.com. Get your tickets now, as this show will sell out – this is a performance not to be missed. Table General Admin $30.00 Out of stock! Table Jazz Standard/Student $25.00 Out of stock!